BRREAM (Building Research Establishment’s Environmental Assessment Method) is now a global environmental assessment method, with 425,000 buildings certified BREEAM ratings and two million registered for assessment since its launch in 1990. The assessment sets the standard for best practice in sustainable building design, construction and operation. BREEAM uses a set of performance measures, awarding up to 119 credits across ten categories based on the outcomes of the assessment. The categories cover Management, Health & Wellbeing, Energy, Transport, Water, Materials, Waste, Land Use & Ecology, Pollution and Innovation. Depending on the overall score, the building is then graded a Pass, Good, Very Good, Excellent or Outstanding BREEAM rating. Aluprof’s sustainable aluminium systems are almost 100% recyclable many times after its first application, and chemical and carbon releases during the product manufacture and lifecycle are kept to a minimum. This is ideal for specifiers seeking the most environmentally friendly solutions possible. 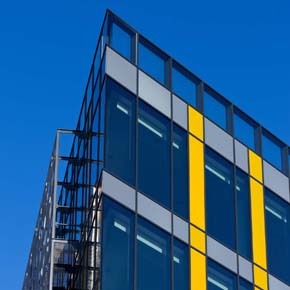 Featuring high performance finishes such as powder coating, aluminium systems can have a long and useful life with very low maintenance, often well in excess of alternative building envelope fabric – and the product’s sustainability is further emphasised by its high efficiency thermal breaks. 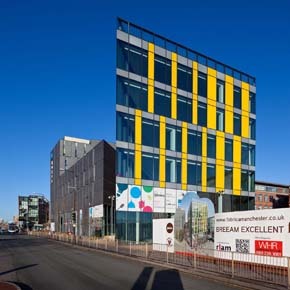 Many projects in the UK and Europe have successfully utilised Aluprof products to secure high BREEAM ratings and meet their sustainability objectives. As well as providing credits in the Materials and Health & Wellbeing categories, Aluprof’s aluminium solutions can assist specifiers in meeting the requirements of the Mat 5 responsible material sourcing category. Aluprof is currently ISO 9001, ISO 14001 and ISO 18001 accredited. 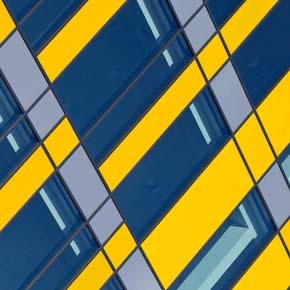 In addition, the use of advanced thermal modelling in high thermal performance aluminium windows and curtain walls can help the specifier achieve up to 15 credits within the Ene 1 catergory.